It is still common in India for parents to choose the person their son or daughter marries. While the engaged couple spend some time together, they are seldom alone together until after they are married. To Sabbath School teachers: This story is for Sabbath, Sept. 23. Click here for photos to share while telling the mission story. 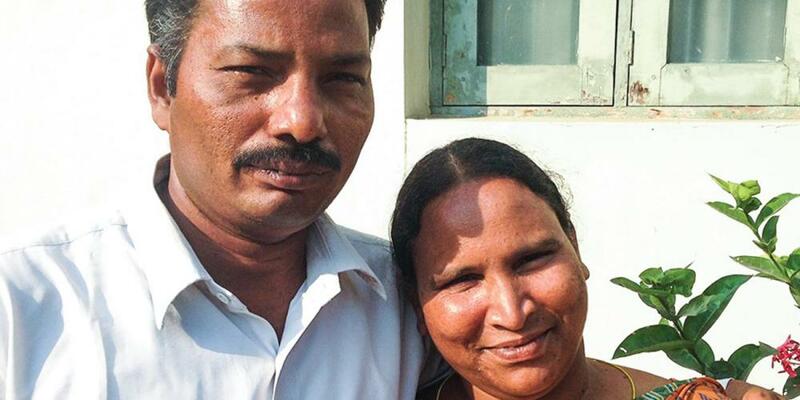 Elisha opened the front door of his house in India. [Invite a child to find India on a map.] Outside stood a man and a woman Elisha had never seen before. Why did Elisha say no? Elisha said no because Solomi did not share his faith. She was a Christian, but she attended church on Sunday. Elisha is a Seventh-day Adventist. Which day do Seventh-day Adventists go to church? [Wait for children to answer.] That’s right, on Saturday. Solomi’s parents were disappointed. They really wanted Elisha to marry their daughter. They had been looking for a good husband for their daughter for a long time. And from what they’d learned about Elisha, they were sure that he would make a good husband. Solomi’s father looked up with new hope in his eyes. “We will tell Solomi to go to church with you!” he said. Elisha met Solomi, and he liked her. They went to church together on Sabbath. And in time the two were married. But after the couple had been married awhile, Solomi stopped going to church with Elisha. She went back to her own church on Sunday. She said it didn’t matter whether she went to church on Saturday or Sunday. Elisha was very sad. He didn’t know what to do. Solomi saw that Elisha was sad. She knew that he was sad because she went to church on Sunday. She wanted Elisha to be happy again. So she began to pray. She asked God whether she should go to church on Sunday or Saturday. The pastor opened the Bible. He showed her the Fourth Commandment, which says, “Remember the Sabbath day to keep it holy.” He read many other Bible verses. Solomi decided that God wanted her to go to church on Saturday. Today Elisha and Solomi are very happy. They work together as Bible workers. They teach people about Jesus and the Sabbath from the Bible. But Elisha and Solomi are most happy that they go to church together every Sabbath. Part of this quarter’s Thirteenth Sabbath Offering will build a training and conference center near Elisha and Solomi’s home in central India. This center will be used to train pastors and lay workers, such as Elisha and Solomi, so they can serve God better. Please remember Elisha and Solomi and the new center in your prayers and as we collect the Sabbath School mission offering.